Maria was particularly curious to know a bit about each speaker and especially their opinions about some specific topics. 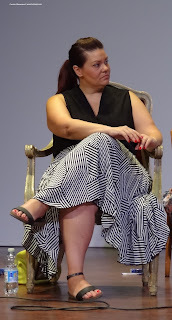 For example, Laura Gobbi was asked why Piedmont is not as popularly promoted yet as other regions and how much the local mentality plays a big role into the local communications. Laura explained that in Piedmont we are "calm people who don't promptly act" and this is becoming an issue in the marketing strategy for tourism and local products. 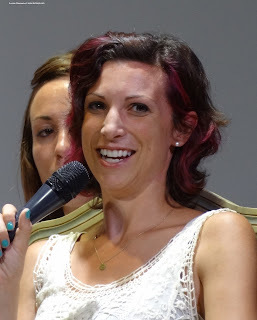 Anna Savino, who owns her own food and wine tour company, felt directly involved in this topic as she tries hard to make business here and, even though it is easier than in the past, it is still hard because Piedmont doesn't advertise its own attractions as effectively as other Italian regions. Gabriel Eschenazi got into the topic giving his Milanese perspective and the historical reason why tourists are still more appealed by other destinations. Given his culinary background and family history, Maria took the chance to ask him about the different Jewish communities in Italy and their gastronomic traditions. 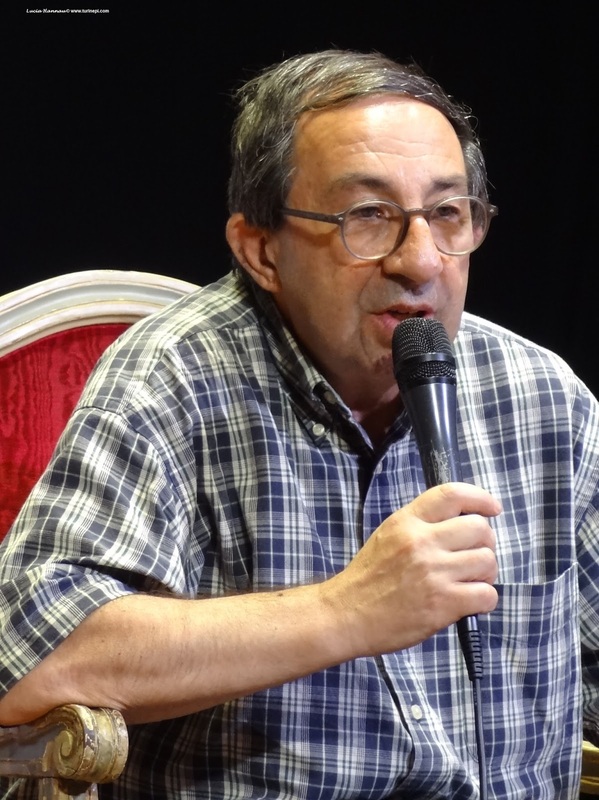 Gabriel quickly shared his fascinating family history, how some members died in concentration camps, how some moved to the UK and how he had access to some specific Mediterranean flavors through relatives living in Greece and Turkey. We could almost feel his kitchen scents! Gabriel explained that the Jewish community in Rome is the only community in Italy who has always resided in the boot as opposed to the others who moved in the actual locations over the centuries. 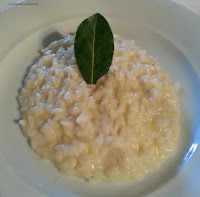 Consequently, the Roman Jewish cuisine can be considered the only real Jewish-Italian culinary tradition as the members of the other communities often have come from other countries too. Upon hearing that Gabriel is a vegetarian, Anna Savino recalled her first impact with Piedmont and how hard it was ten years ago to be accepted and accommodated. Happily though she said things have changed and she has gradually become even more Italian than when she was an Italian- American growing up in California. Maria recognized herself into Anna's memories as she grew up an Italian-Australian in Melbourne and shared many experiences with her. 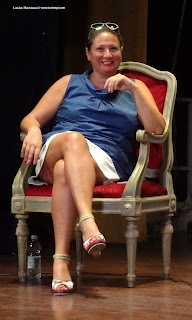 Going back to the previous topic about her business, Anna told us how hard it is to find Piedmontese grandmas who are willing to teach cooking classes to tourists. Because of the inner sense of understatement typical of the residents, grandmas feel too shy to teach their own cooking techniques to foreign visitors. Hopefully, this will slowly change too! The final topic of this round table was the Alta Langa wine, the sparkling white wine with its own special glass designed by Giorgetto Giugiaro to better appreciate the bouquet and the perlage. Turin Epicurean Capital is always a very intense event and we couldn't close it with a special goodbye dinner at the historical La Smarrita restaurant. Chef Marco Giachello prepared an amazing lemon scented risotto with Taleggio cheese and bay leaf and a veal medallion. Unfortunately, there was no a/c and some of us just couldn't take the heat and had to leave. On the good side though we enjoyed the boutique wines by Cascina Gilli. We had a tasting of four of their wines: Freisa, blackberry rich Barbera, outstanding Malvasia and Malvasia Passito or raisinated. 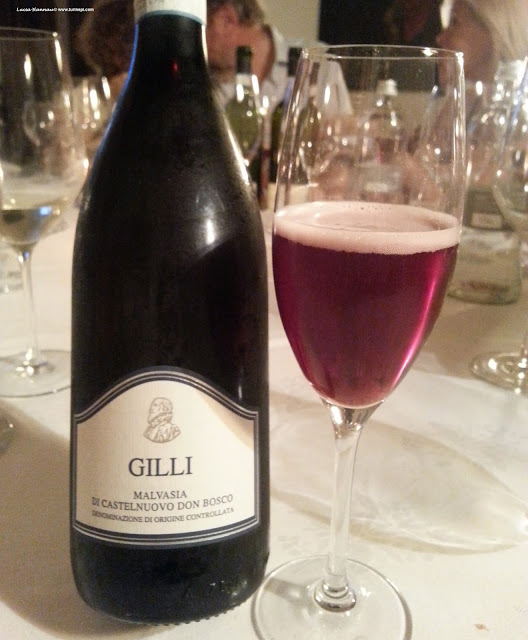 The Cascina Gilli Malvasia is a very special wine: pleasantly sparkling and highly aromatic. It's red fruits scent is so intense that even the Malvasia sorbet made with this specific variety keeps the scent and the effervescence! Our goodbye dinner ended with a staple Turin dessert courtesy of the historical Gelateria Pepino in the nearby Piazza Carignano, in front of the very first Italian Parliament. We all enjoyed a pinguino the very first gelato on a stick which was invented right here in Turin. 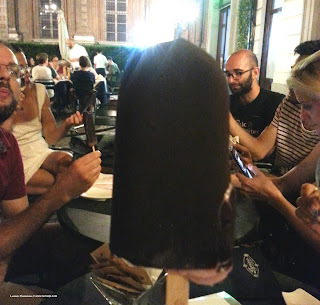 The pinguino is a chocolate covered gelato on a stick and it comes in 5 flavors: classic heavy cream (simply superb), coffee, hazelnut, violet and mint. 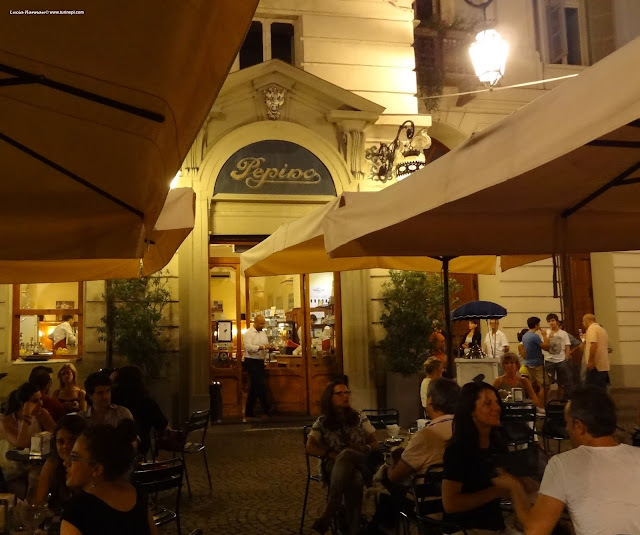 Now you know it, Turin Epicurean Capital is a totally engaging experience that will show you the hidden side of Turin as only its residents experience it in its full epicurean spirit. Friendship, conviviality, high quality food, premium wines and top gelatos will also help you network. 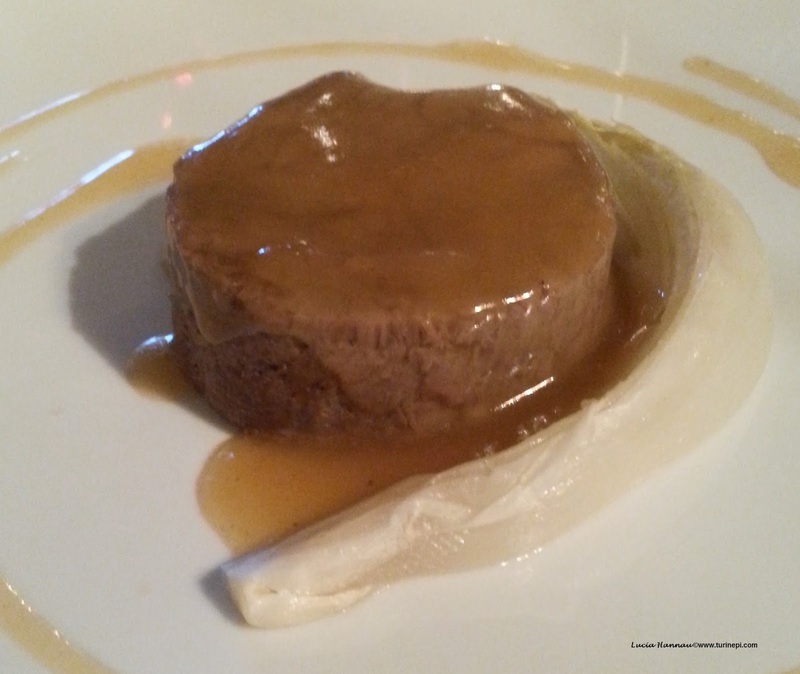 Get ready for the third edition of Turin Epicurean Capital 2016 and mark your calendars down for June 22, 23, 24. You'll be amazed!